Helping close out a banner year for the Air Jordan 1 Retro High OG will be another honorary selection meant to pay homage to MJ’s illustrious career by way of the Jordan 1 “A Star Is Born”. Inspired by Jordan’s first ever Sports Illustrated cover as a member of the Chicago Bulls, its midfoot Swoosh boasts a gradient color scheme meant to harken back to the retro Milwaukee Bucks uniforms that His Airness is masterfully evading on the cover on the way to two of his 32,392 career points. Other details include black and white panelling supported by Varsity Red embroidery around the aforementioned spot of Beaverton Branding as well as on its recognizable ball and wings logo emblazoned into the ankle collar. 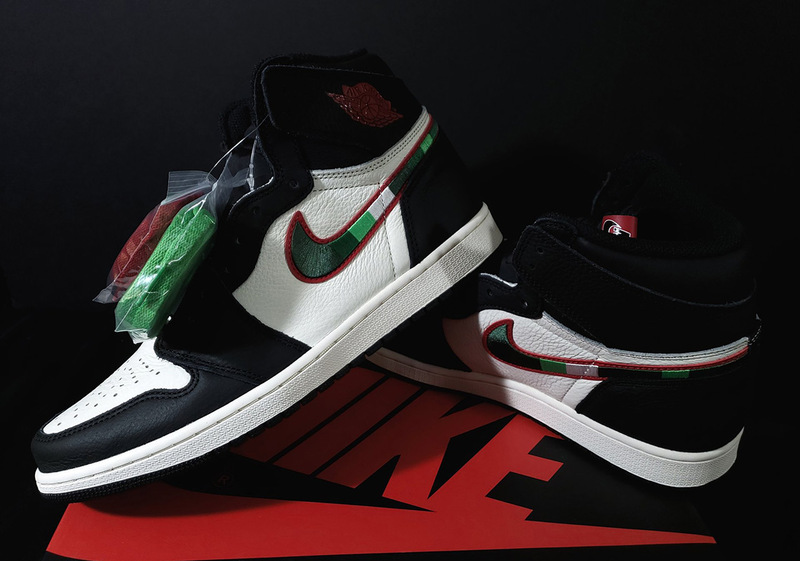 Those of you wishing to hang onto the last bit of 2018’s Jordan 1 release action will be able to grab these SI cover-inspired kicks from select retailers on December 27th.